This plan provides all the elements specified in the Silver plan plus an upgrade to a standard coffin. It also provides the funeral cortège from the home to the service, with one limousine to transfer the mourners and family to and from the service. It also guarantees the cremation and ministers fees. If you would like additional services not included in the plan, such as the purchase of a new grave or a service at a local church, please let us know. We will be happy to discuss these with you and incorporate the costs into your plan, providing your selected payment option allows this choice. Once you’ve decided on the plan that best suits your needs, just talk to us and we can arrange the payment method that is most appropriate to your personal circumstances. Payments can be made by way of low Fixed Monthly Payments, single payment, or by instalments over 12-60 months. Contact us if you would like a more detailed chat about all your options. Call 0800 85 44 48. For the Fixed Monthly Payment option, to provide the benefits of your FROM50 Plan, your Fixed Monthly Payments are paid to Phoenix Life Ltd, trading as SunLife to secure a whole of life policy. 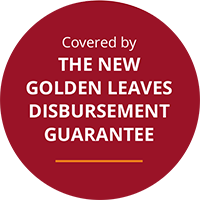 Golden Leaves, (who are the beneficiaries of the policy,) will utilise the proceeds of the policy at the time of your death, to provide your chosen funeral services. With their roots going back to 1810, SunLife has strived to deliver affordable financial products providing peace of mind and excellent service to thousands of customers. If you require any further information and wish to speak with one of our advisors, please select the Request a callback button, submit your details and a member of staff will contact you shortly. Alternatively you may find the info you require in our FAQs section. The deposit amount assumed in the above calculations has been set at £250. Although a higher deposit will be accepted. Please be aware that a higher deposit will lower your monthly premium payment. Payment by instalments are subject to a cumulative management fee of 6% per year after the first 12 months – The first 12 months has no management charges. Our plan prices are based on a national average – in some areas of the country the prices of services may be considerably higher – should your chosen funeral director not accept the plan at our national average price we will advise you of the regional variation in pricing. Price illustrated is based on starting the policy aged 50. 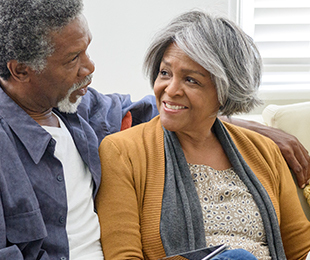 Insert your correct age when purchasing the plan to see the applicable monthly payment. There is a compulsory deposit of £25 payable to Golden Leaves.